The baseball team has resurrected itself, from an 0-9 start to the season, to clinch the team’s first trip to the postseason since 2006. Feb. 15 — GW opens head coach Gregg Ritchie’s inaugural season with a 7-5 loss at Davidson, the beginning of a nine-game losing streak to start the year. March 1 — The Colonials christen the newly renovated Barcroft Park with an 8-3 loss to Quinnipiac. March 9 — GW gets its first win of the year, a 4-3 victory over Cornell, and two weeks later, wins its first A-10 conference games in a home doubleheader against UMass. 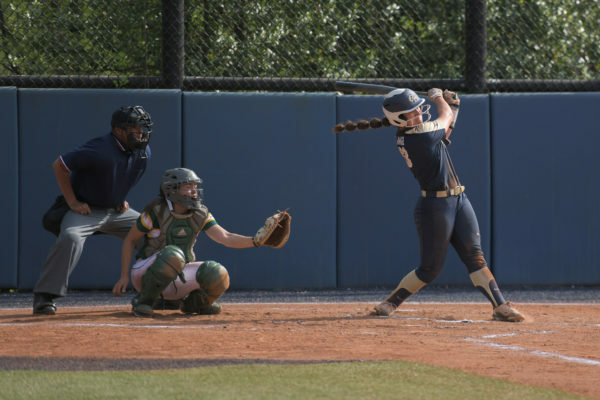 April 17 — GW ends a seven-game losing streak with a 10-9 extra-inning defeat of Towson, and, two weeks and a six-game win streak later, jumps from ninth place to a tie for seventh in the conference standings. May 18 — After clinching its first playoff appearance since 2006 the day before, the Colonials secure a fifth place finish in the conference with a sweep of La Salle in their final series of the season.